[prMac.com] Wilmington, Delaware - Representatives with MyClickapps LLC are pleased to announce today that it has developed a new dedicated website for its FeedsWire app. "It's easy to navigate, it provides information about the app and it makes the customer experience very enjoyable," said Muhieddine EL Kaissi, president of MyClickapps.com LLC, the developers of the FeedsWire app, which is a news RSS feed reader and iOS app for the iPod, iPhone, and iPad. El Kaissi explained that FeedsWire, which is available on the App Store, is an RSS feed aggregating utility unlike anything ever created. "Fitted with an eloquently simple user interface, this app is practical, lightning quick, and offers users unprecedented freedom to create a genuinely customized RSS portal that they can review regardless of whether they're online or offline," EL Kaissi said. 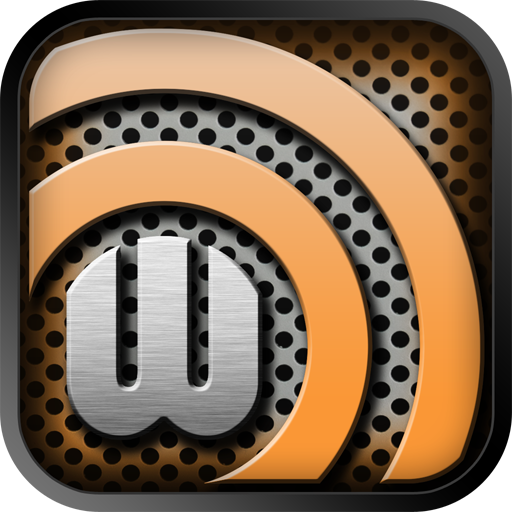 EL Kaissi added that FeedsWire enables users to follow any RSS feed from national outlets to local news and friend's social network feeds and comes equipped with grouping options to keep feeds organized and easily accessible. What makes FeedsWire different, EL Kaissi said, is that the app's keyword-based feed search engine allows users to find their favorite feeds and discover new ones in an instant. "You can follow RSS feeds from any source," EL Kaissi noted. "Everything from local news, magazines, popular online business, entertainment, and financial media outlets, to custom social network feeds and basically anything in between is at your disposal with FeedsWire." Yolonda Dunkin, 28, of Houston, said she gives the app and its new website two thumbs up, and added that she likes the fact that that app allows her to instantly share articles and tweets that she comes across with her friends. "But that's not all," EL Kaissi said. "Courtesy of advanced caching technology, users are free to read and review all of their favorite RSS feeds even when operating in offline mode, perfect for subway commuters and anyone who roams outside their coverage area to stay current." FeedsWire 1.0 is free and available worldwide exclusively through the App Store in the News category. Users can quickly and easily upgrade to the full version for full access to this handy app for just $0.99. Users need only purchase FeedsWire once to enjoy it on each of their iOS devices. For more information about the FeedsWire app, please visit MyCllickApps online. MyCllickApps LLC is an internationally focused publisher of iOS apps situated in Wilmington, DE. MyClickApps seeks to make apps that are useful and practical for people who love to make the most of their mobile devices. MyClickApps is innovative and seeks to produce apps that are useful and cutting edge. Other popular apps by the company include: ContactsDuster Pro, FriendsWire, 1-Click Flashlight with more than 550k downloads, A Special Phone that has been featured by MacWorld. Copyright (C) 2012 MyClickApps LLC. All Rights Reserved. Apple, the Apple logo, iPhone, iPod and iPad are registered trademarks of Apple Inc. in the U.S. and/or other countries.